Membrane transporters and the diseases corresponding to functional defects; P-glycoprotein (P-gp/MDR1)/ABCB1; Multidrug resistance- associated protein 2 (MRP2/ABCC2); Breast cancer resistance protein (BCRP)/ABCG2; The bile salt export pump (BSEP/ABCB11); Organic anion- transporting polypeptides (OATPs/SLCOs); Organic anion, organic cation and zwitterion transporters of the SLC22 and SLC47 superfamily (OATs, OCTs, OCTNs and MATEs); Drug transporters in drug discovery and development; Transporter study methodologies. 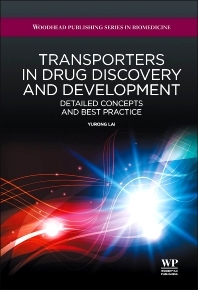 Written by a leading researcher in the field, Transporters in Drug Discovery and Development provides a comprehensive and practical guide to drug transporter families that are the most important for drug discovery and development. It covers: an overview of transporter families and organ distribution; clinical relevant drug-drug interaction; clinical relevant polymorphism; drug transporter related pharmacokinetic, pharmacodynamics and toxicity; in vitro/in vivo probes of drug transport studies; the practical methodologies of industrial transporter screening and translational aspect in drug discovery and developments.